Every four years the world gets excited about seldom seen sports. 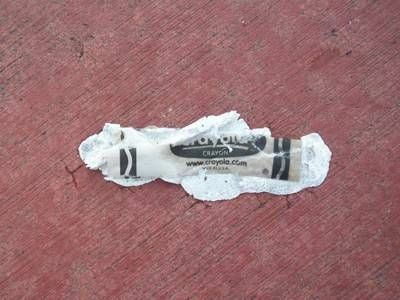 Perhaps the old saying is true, "absence makes the heart grow fonder." We sit in our comfy homes and watch others, halfway around the world, put their talents, stamina, and heart to the test. It is an extremely engaging act to watch, a few of us are even lucky enough to travel to the events and witness the valor first-hand. Someday, I hope to join the masses and sit in the stands and root for my countrymen. But what if we could see this same mania aimed at the arts? How does one Handle Handel? British Violins, of Course! The W.E.Hill violin shop was by far the greatest violin shop in England, if not in the world, for much of the nineteenth and twentieth centuries. But they did not rise out of a vacuum. There were wonderful makers in England long before the Hills and there remain great shops since the Hills closed shop. 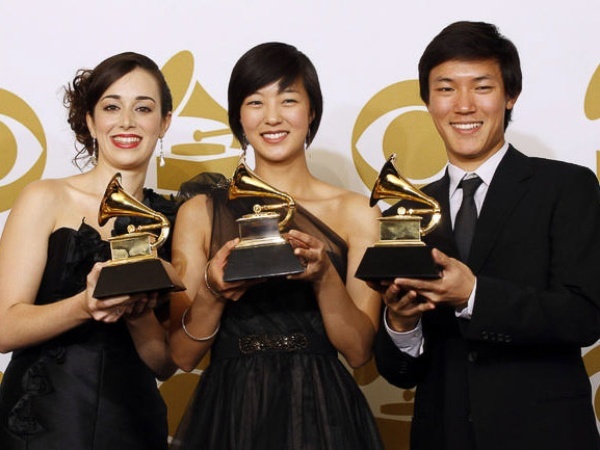 The Hills simply took the best of those talents, added their immense knowledge, and brought out a tremendous violin shop. It's hot this summer. Even here in Minnesota, this summer has already seen several days with a heat index above 100 degrees, not to mention those days where the actual temperature is in the 100's! It is early July as I write this, so I know that there will be quite a bit more of this before we get into the cooler autumn months. In light of this, I thought now would be a great time to write a quick reminder about caring for your instrument, keeping it safe, and continuing to be able to enjoy it for years to come! 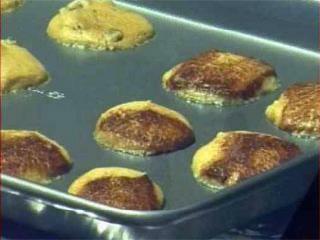 Yes, those are actual cookies being baked on the dashboard of a car! IF YOU WOULDN'T LEAVE A BABY OR A PET IN THE CAR, DON'T LEAVE YOUR INSTRUMENT IN THE CAR!!! It's a pretty easy rule to remember, actually. In fact, the beauty of it is that it holds true in all circumstances, at all times of year. You wouldn't leave a baby in a car, car seat or no, if you were going shopping at the mall for an hour or so. Don't leave your instrument in there, either. In the winter time, you wouldn't leave your child or pet in the car, with subzero temperatures, so don't leave your instrument in there either. But here's the really important thing to remember - the trunk of your car is not climate controlled!!!! 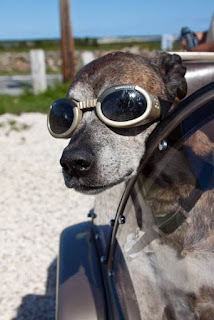 No matter where you are, remember that your air conditioning does not reach the trunk and cool it down (or keep it warm in the winter, for that matter). 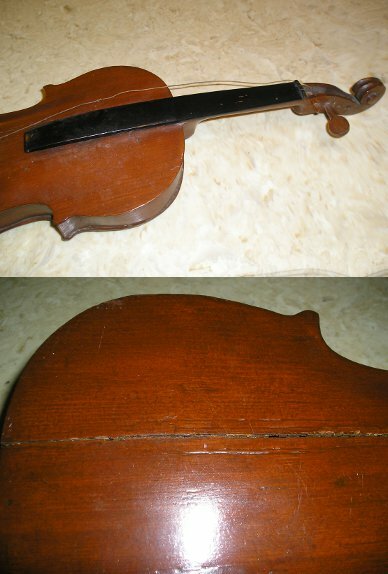 Violin damaged by heat inside car! 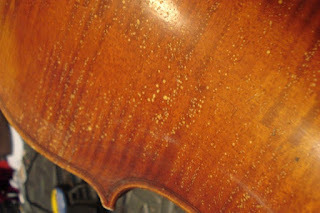 I know that I am preaching to the choir with many of our readers, but if I can help even one instrument be protected from needing extensive (and expensive) repair work, at best, and being completely unfixable, at worst (and believe me, your instrument insurance would not cover leaving it in a hot car in the summer! ), then this post is worth it. Oh, and by the way.......the bow is equally as delicate and important, so treat it with the same amount of care and diligence as you do the instrument! What is the common thread between the Battle of Bunker Hill, the 1720 'Mendelssohn' Stradivarius, 'The Red Violin', Wittner Finetune violin pegs, and Gamma Phi Beta Sorority? 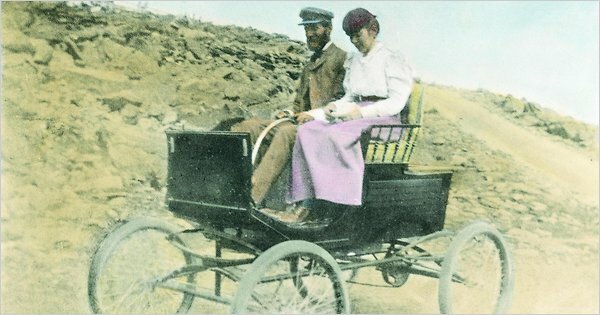 Elizabeth Pitcairn, of course! 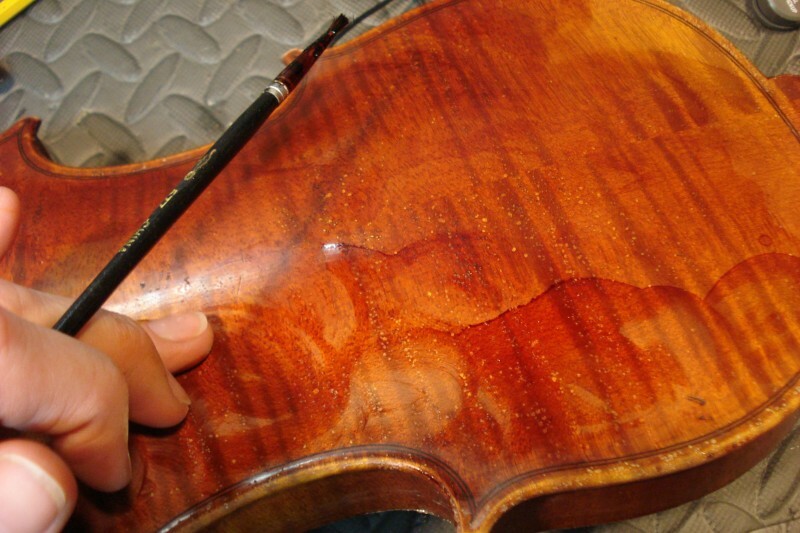 The Violin Makers of Milan- Elite Artisans or Cheapjacks? On a recent visit to the National Music Museum, in Vermillion, South Dakota, I was overwhelmed with the beauty of some of the oldest instruments in the violin family. 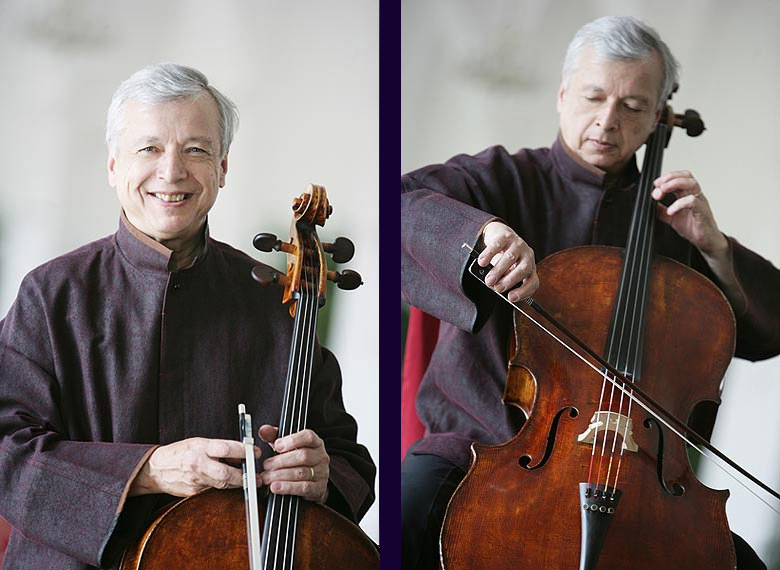 Most notably those of Andrea Amati, his descendants, and their students. Towards the back of the room housing the Amatis, Guarneris, and Stradivaris, there is a beautiful five string violin. The shape of this five string violin is unusual as its contours are deeply influenced by viol family instruments. 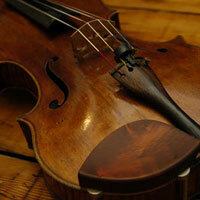 This violin was made in Milan by Giovanni Grancino circa 1685. As you can see from the picture below, this was an elaborately made violin by a very skilled maker. 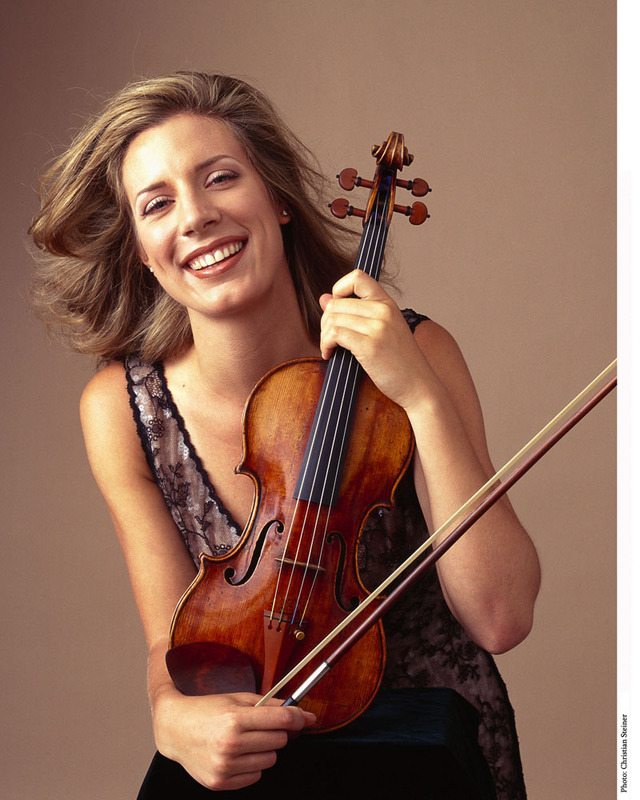 Yet the great violin experts at W.E. Hill & Sons, many years ago, used the term "cheapjacks" to refer to many of the Milanese makers. 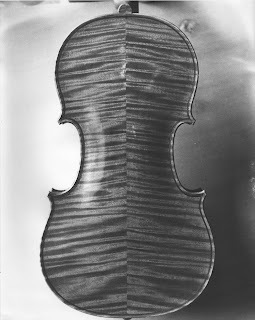 What was happening with the art of violin making in Milan for its luthiers to deserve such an appellation? The term "cheapjacks" was, quite possibly, meant to discourage customers from purchasing wonderful sounding instruments made of less-than-perfect materials. I contend, however, that the Grancinos, and later Milanese luthiers, created fabulous instruments with what was considered inferior material (poplar, willow, beech backs and such). In essence, they used "rags" to create "riches." Perhaps this, in itself, helps to define their greatness in making string instruments. The Hills' use of this term was, perhaps, meant as a slight towards their contemporary competitors in Milan, the Bisiachs. If the Hills could discourage musicians from purchasing Milanese instruments, then their competitors would suffer. In essence, the Hills were "creating a market." The Cremonese were at the top of the heap and everyone else was inferior. The Milanese were chosen, by the Hills, to be at the bottom. The Grancino family was not isolated in Milan either. Such great makers as Landolphi, and even Guadagnini spent some time in Milan. Guadagnini spent the years 1749-1758 in Milan. In fact a great maker named Testore worked at and later took over the Grancino shop. The Grancino family had a tremendous influence on many phenomenal instrument makers. Paolo Grancino probably studied with and worked for Nicolo Amati. Interestingly enough, Antonio Stradivari was also apprenticed to Amati at the same time. 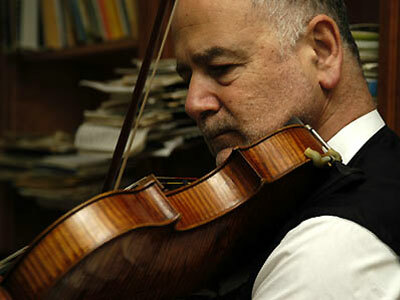 Paolo taught his son, Giovanni Grancino, the art and craft of violin making. Giovanni then went on to teach Carlo Giusseppi Testore. In fact, Carlo Giusseppi worked in the Grancino shop. Carlo Giusseppi taught his eldest son, Carlo Antonio, and his youngest son, Paolo Antonio who branched out of the Grancino shop and became direct competitors. As the Grancino shop boosted productivity, the Testores were forced to keep up and their workmanship diminished as they began to cut corners with lesser quality wood. Paolo Antonio then taught his son, Pietro Testore. Pietro has the dubious distinction of bringing the Testore luthier line to an end. 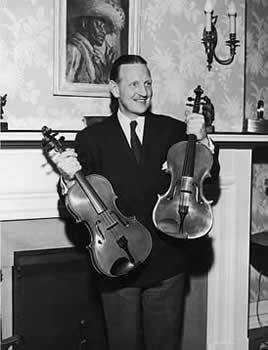 Although his work sounded strong and robust, Groves Musical Dictionary describes him thus: "possibly the clumsiest hands that ever made a violin." An unfortunate attribute, indeed! The Landolphis or Landolfis, contemporary Milanese makers to Grancino and Testore, also made wonderful sounding instruments with poor wood quality and unorthodox techniques. According to Henley, Carlo Ferdinando Landolphi's (1734-1787) work befuddled experts in "reconciling the variableness between degeneracy and perfection." His violins varnished with a "brilliantly transparent but thickly spread orange red" are valued both for beauty of tone and workmanship, while his instruments varnished with a thin hard yellow varnish sound like they have been "muffled by a piece of muslin." The variation between quality and craft is so great that some experts posit that there are, indeed, two makers with the same name. That being said, one has to make a living, so material and workmanship suffered when quality wood supplies ran low and competition was high. Many of his instruments use pine for the top plate and plain un-figured maple for the backs. Oftentimes his scrollwork looks inferior to his contemporaries, and purfling became an unessential attribute on many of his instruments to cut corners. Furthermore many of his instruments went out of his shop with only one meager coat of varnish. Even with all of these deficiencies in quality materials and workmanship, his instruments left the shop sounding fabulous. Carlo Ferdinando Landolphi's son, Pietro Antonio took over the shop from his father and ran the shop from 1775-1801. His instruments, unlike his father's, are often labelled "Landolfi." This may have been a way for him to distinguish himself from his father. Many praise his instruments for their superior sound, which Henley disputes "as a purely fatuous doctrine that connoisseurs sometimes conceive towards anything coming from Italy." Although there is ample evidence to believe that the Milanese makers produced some less-than-stellar instruments, one should not dismiss all of their output as junk. The finest examples of workmanship, craft, and tone rival the great cremonese makers. Listen to the examples and decide for yourself! With the exception of Landolphi's "muffled by muslin" instruments-all of the Milanese makers were and continue to be highly praised for the power and beauty of sound their instruments produce. After all, isn't sound the reason we all have decided to play a stringed instrument? Good sources for learning more about Milanese violins are Henley's Universal Dictionary of Violin and Bow Makers, Eric Blot's Liuteria Italiana II, and Walter Hamma's Master Italian Violin Makers.